Tupper Arts Snow Ball a hit! 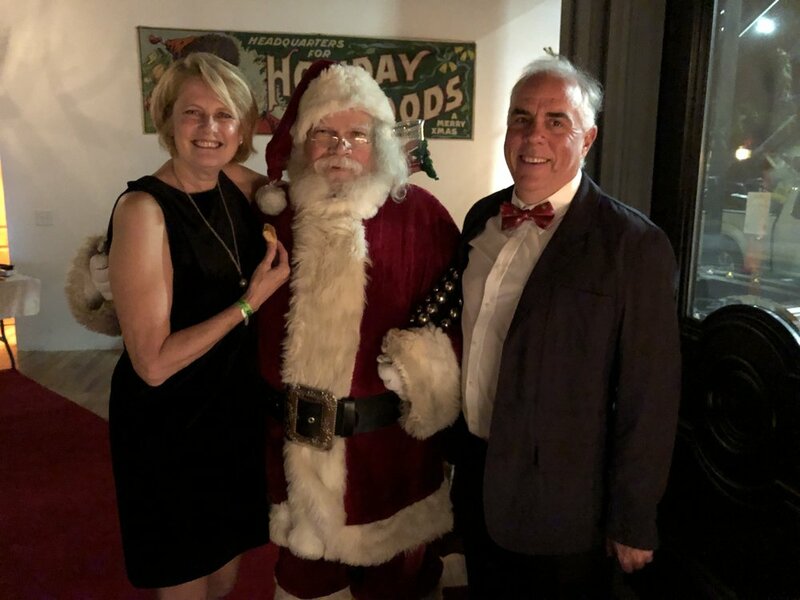 Tupper Arts organizers are basking in the glow this week from a very successful Snow Ball which raised thousands of dollars for the arts and cultural programs the new organization will offer children and adults here this coming year. 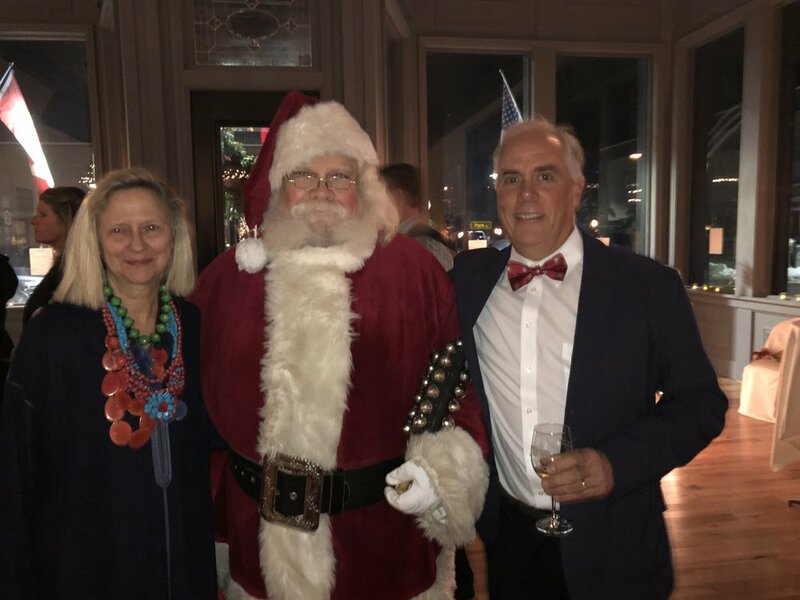 “We're so appreciative of how well the community supported us in our first Snow Ball,” chairwoman Louise McNally said this week. 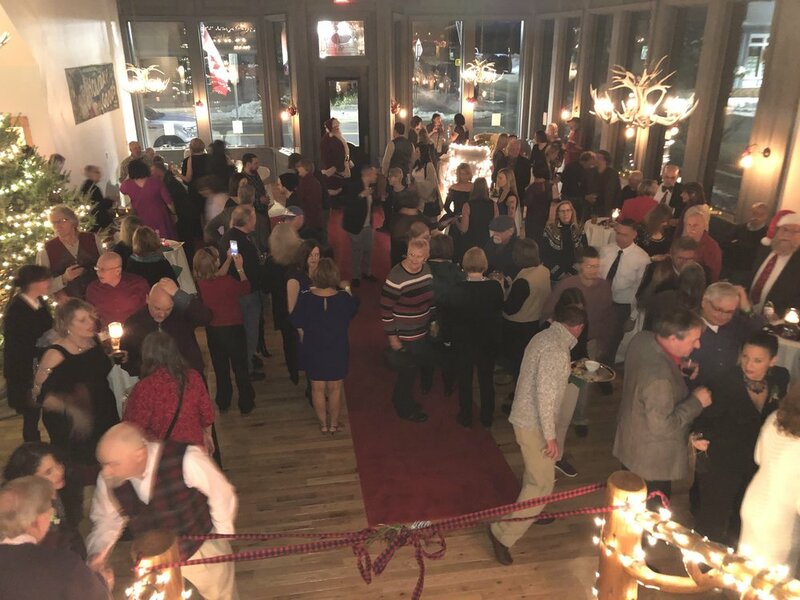 Over 200 people purchased $50 tickets to attend the progressive event, which began at the former Ginsberg's building and moved two hours later to the Tupper Arts new gallery in the former Futterman's Furniture building. Both pieces of the Snow Ball featured complimentary wine and beer, much of which was donated by local pubs, taverns and breweries, and hors d'oeuvres, prepared with skill by the staff at Well Dressed Food. Both pieces of the party featured great entertainment. Jim & E, (Jim Boucher and Eric Pasternak) performed from the loft area above the giant timber staircase at the building now owned by Louise and Mike McNally and Leah and Stanley Rumbough. When the party was moved at 9p.m. across Park Street, it was Spring Street's turn to entertain the merri-makers. Band members included Ed Schaum, Josh Pratt, Leon Jessie and Val Rogers. This was the arts organization's first try at Snow Ball, reviving it after a several year absence after ARISE used it each year for about a half a dozen years as its principle money-generator to open Big Tupper Ski Area. “We thought our first try was great. It was the product of a lot of hard work by dozens and dozens of people who want us to be the vibrant program we will be,” said the very pleased McNally. Part of this year's theme focussed on the many new developments coming to the uptown business district and the community at large. Punctuating the event was the exciting announcement of the coming of a new Lake Placid-based long time business, the Adirondack Store, which will be teaming up with Garrett Kopp's Birch Boys business, both under the same roof.